A quick glance at almost any of the British government’s statements and position papers on ‘Brexit’ since 2016 will show the importance it attaches to trade and investment with China in a post-‘Brexit’ world. Policy papers have compared the growth of exports to China favourably with those to the EU, China was the only country mentioned by name in a 2017 paper on future trading relationships and on her visit to Beijing in February this year, Prime Minister Theresa May pitched for a bilateral trade agreement post-Brexit. Underlying this enthusiasm is a desire to increase Chinese investment into the UK and to maintain the pre-eminence of the City of London by ensuring it is at the forefront of China’s plans to make the renminbi (RMB) a global currency. in the event of a ‘hard Brexit,’ the negative impact on China would be minimal, certainly less than that on other countries in East Asia. Both ambitions pre-date the ‘Brexit’ referendum, being cornerstones of George Osborne’s time as Chancellor of the Exchequer but both have gained in importance since. But in talking up future opportunities, the British government and ‘Brexiteers’ alike seem to have paid little attention to China’s own views. Premier Li Keqiang made it clear when he stated during a visit to London in 2014 that China all along supports the EU integration process. If Brexiteers missed that, a scathing editorial in China’s Global Times on the 25thof June 2016, two days after the referendum under the headline Britain steps backward as EU faces decline spelt it out in no uncertain terms. The reasons for China’s annoyance were similarly clear. Li Keqiang expressly stated in his 2014 visit that China hoped that its bilateral relationship with the UK would stay at the forefront of its relations with European countries. It sought to use this burgeoning relationship as a way to build its own influence with the EU generally. Not only would ‘Brexit’ stymie this but China also feared that without the UK, the EU would be more susceptible to US influence (this was before the election of Donald Trump as US president), further hindering its strategic ambitions. 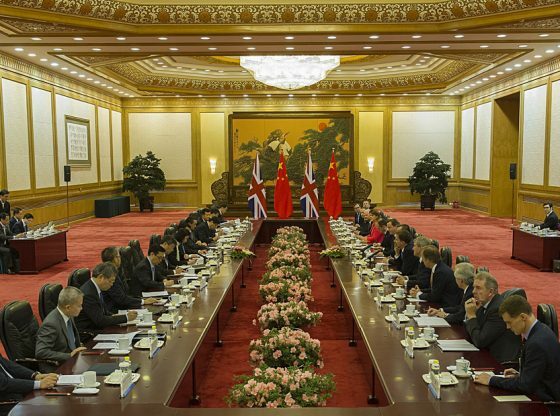 While the ‘Brexiteers’ might dream of a glorious future for the UK by going it alone, for China, as for other countries in East Asia, the UK is a much more attractive partner inside the EU than outside. Despite this frustration, in the event of a ‘hard Brexit,’ the negative impact on China would be minimal, certainly less than that on other countries in East Asia. Unlike Korea and now Japan, it does not have a Free Trade Agreement with the EU, so its trade with the UK will be little affected, whatever final deal may or may not be reached between the EU and UK. And while Chinese investment into the UK has been growing rapidly in recent years, with €23 bn. of inward investment in 2016 alone, in contrast to investment from Japan and Korea which has been concentrated in the manufacturing sector, that from China has been primarily into infrastructure such as the Hinkley Point nuclear power station and Heathrow airport, or into real estate. These areas will be among those least affected by a ‘hard Brexit’ whereas Japanese companies will face difficult choices about whether to remain in the UK, especially if their European supply chains are disrupted. Similarly, although London is now the second largest offshore centre for RMB trade, it is dwarfed by Hong Kong, which handles over 72% of the business compared to less than 7% in London. If the City of London loses its ready access to the Eurozone, switching RMB trading from there to Frankfurt or elsewhere in Europe will not be difficult. Meanwhile, China has stepped up diplomatic efforts to engage with the EU. Donald Trump’s threatened trade wars have encouraged it to suggest co-operating to resist protectionism. So far, the EU has responded cautiously, not least because it has its own bilateral trade concerns. Germany has been similarly cautious over bilateral overtures from China. Engagement with the 11 Central and Eastern European members of the EU through the ‘16+1 framework,’ set up ostensibly to facilitate Chinese investment in infrastructure development, may be bearing more fruit, however, as the countries concerned, like the Cameron government in the UK previously, appear ready to set aside concerns about Chinese human rights practices or other behaviour in their desire to secure trade and investment deals. This has raised concerns in Brussels and other European capitals that China may be seeking to deploy ‘divide and rule tactics’ with the EU. Even if that is not its intention, given wider tensions between Brussels and Poland and Hungary over some of their domestic policies, the practical effect is likely to be the same: a weaker EU, divided in its dealings with China. As for future relations with the UK, a clear signal of Chinese thinking came from its ambassador to the EU, who warned in April that If there is not a Brexit deal, there won’t be things to talk about after that (in UK-China relations). As with previous Chinese statements, however, this appears to have gone largely unnoticed in London. So, while Chinese frustration is real, it could prove to be one of the few winners of a ‘hard Brexit.’ Set against a weakened EU and an isolated UK, China is likely to find it easier to influence international norms and behaviour to its liking. That Japan, which will have to manage the fallout for its firms from the UK leaving the Single Market, may also be weakened, is a bonus. The UK, by contrast, will be a demandeur in efforts to reach a trade agreement with China and without any leverage should expect China to drive a hard bargain. Michael Reilly is a Non-Resident Senior Fellow of the Taiwan Studies Programme in the University of Nottingham Asia Research Institute. 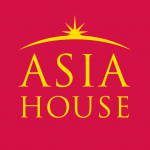 His latest book, The Implications of Brexit for East Asia, co-edited with David W.F. Huang, and from which this article is drawn, was published by Palgrave Macmillan on 27 July. Image Credit: CC by Number 10/Flickr. “China also feared that without the UK, the EU would be more susceptible to US influence”. No, China did not and nor did anyone else. Like the rest of the world, China regards the UK as General DeGaulle did: it’s an American Trojan horse in the EU.